It’s almost 5 years when i purchased my first laptop. It was Dell Inspiron 1440. This was the first and the only laptop i have had bought for myself till date. After buying this one didn’t feel need to buy another one as this one still runs very smooth and problem free. Why (and what) I am posting today? Today, for the lack of data cable, i wanted to connect my old Nokia E5 phone using Bluetooth to my Dell Inspiron 1440 laptop. Perhaps, due to previous Windows installation the bluetooth drivers had been lost. That is why i felt a need to install these drivers again. This is only when i first time went to the Dell website to get my drivers and this is when i first time linked my laptop to Dell Product Support! What does the Dell Product Support do for you? Read on if you have got a Dell product. Well, rather than asking this question to me you should go to Dell website and connect your device to Dell Product Support by following the instructions given there. It is very easy to do it. 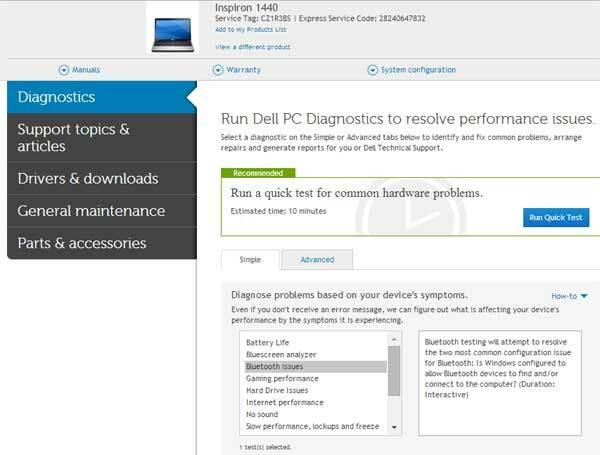 Once your device is linked, the Dell Product Support would perform all hardware “Diagnostics Scans” for your laptop. 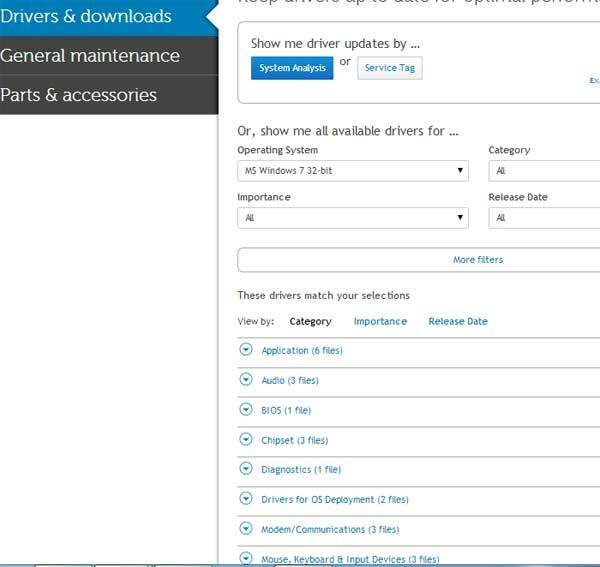 It offers and recommends the drivers and downloads your device may require to perform better. 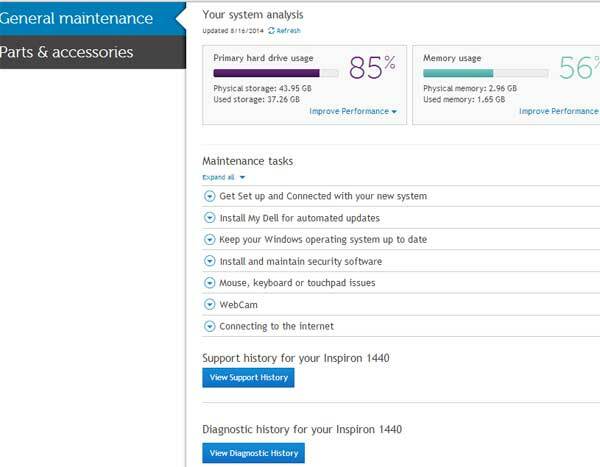 The Dell product support suggests “General Maintenance” tasks which includes Performance Improvement, Options to receive automative update alerts, recommendations about security of your system, maintenance of your operating system, Webcam, Internet and many more. If your are someone like me who hasn’t linked Dell device/laptop with Dell Product Services already i would highly recommend to do it now. This is really useful and fun!